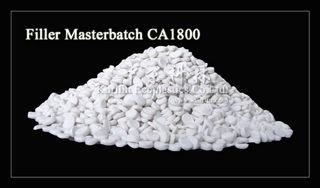 With ultra-fine natural calcite powder as raw material, Filler Masterbatch is a kind of organic-inorganic composite plastic made by surface modification technology. It has good compatibility with PE, PP and EVA plastic. Adding Filler Masterbatch in normal plastic materials saves production cost and improves usage performance.